The 6.8 – 25 kVA range of generator sets is designed to power your every need. Suitable for use in diverse applications including construction, residential, retail and telecommunications, this range has been redesigned for optimum performance in some of the harshest and most remote environments. Available with a metal or polymer enclosure offering, this range is designed to withstand the test of time. 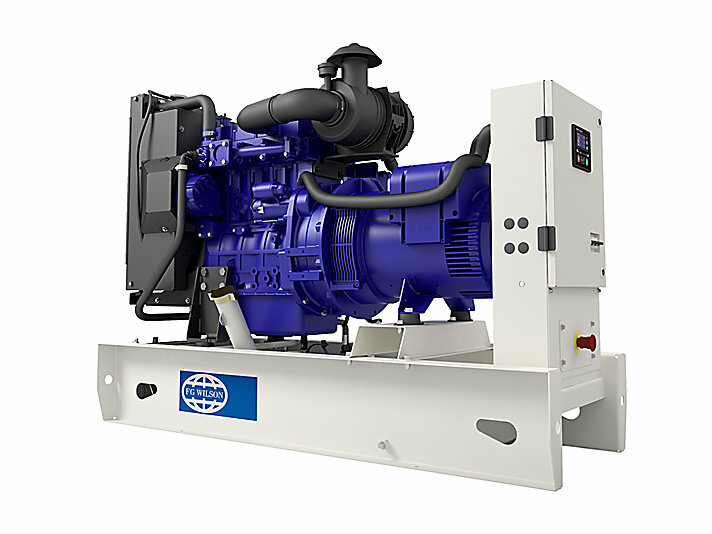 The 6.8 – 25 kVA range of generator sets is designed to power your every need. With an enhanced choice of power nodes, this range is engineered for optimum performance in diverse applications including construction, residential, retail and telecommunications. The contemporary design of the polymer enclosure option redefines durability in the marketplace and further enhances this range alongside the more traditional metal enclosure. For a life without interruptions, trust FG Wilson. The 400 Series engines offer highly competitive performance, fuel economy and EUIIIa Emissions compliance on selected nodes. These engines have been designed to be reliable and to offer low cost of ownership in the wide variety of markets they serve. The DSE4520 is a compact Auto Mains (Utility) Failure Control Module that has been developed to provide an outstanding range of features within a compact enclosure. Monitoring engine speed, oil pressure, coolant temperature, frequency, voltage, current, power and fuel level, the modules will give comprehensive engine and alternator protection. This will be indicated on a large back-lit LCD icon display via an array of warning, electrical trip and shutdown alarms. Prime Rating – These ratings are applicable for supplying continuous electrical power (at variable load) in lieu of commercially purchased power. There is no limitation to the annual hours of operation and this model can supply 10% overload power for 1 hour in 12 hours. Standby Rating – These ratings are applicable for supplying continuous electrical power (at variable load) in the event of a utility power failure. No overload is permitted on these ratings. The alternator on this model is peak continuous rated (as defined in ISO 8528-3). Note: Standard reference conditions 25°C (77°F) Air Inlet Temp, 100m (328 ft) A.S.L. 30% relative humidity. Fuel consumption data at full load with diesel fuel with specific gravity of 0.85 and conforming to BS2869: 1998, Class A2.